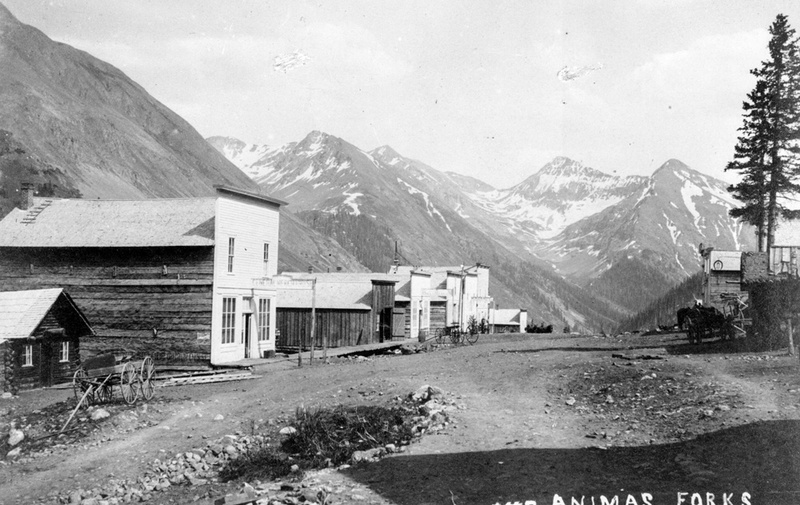 Before the railroad arrived in Silverton in 1882, Animas Forks served as a regional center for commerce and mail. It had general stores, boarding houses, a jail, a newspaper, and a grand hotel called the Kalamazoo House. Courtesy of Denver Public Library, Western History/Genealogy Department. To purchase a copy of this image, please contact Photo Sales staff at photosales@denverlibrary.org or 720-865-1818.